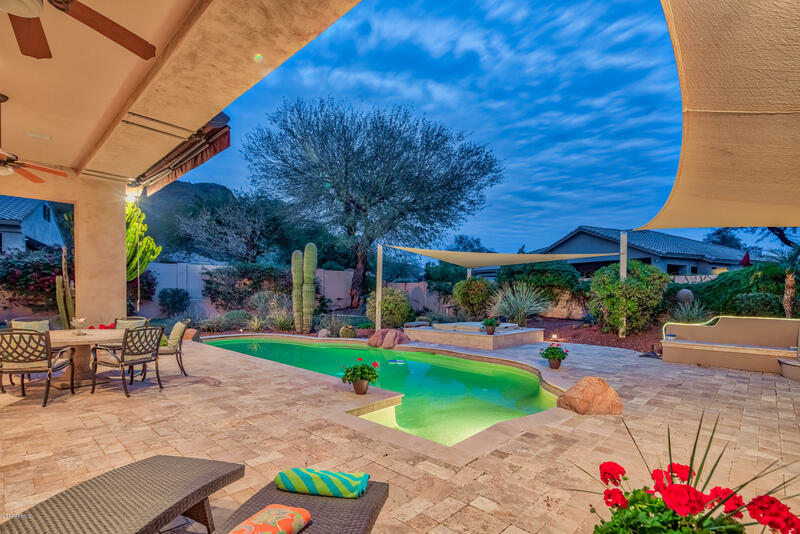 Majestic Mountain Views!! 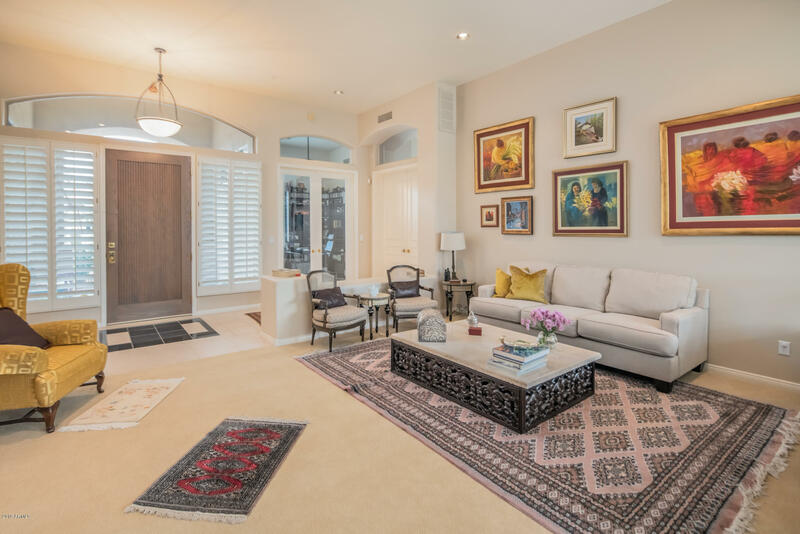 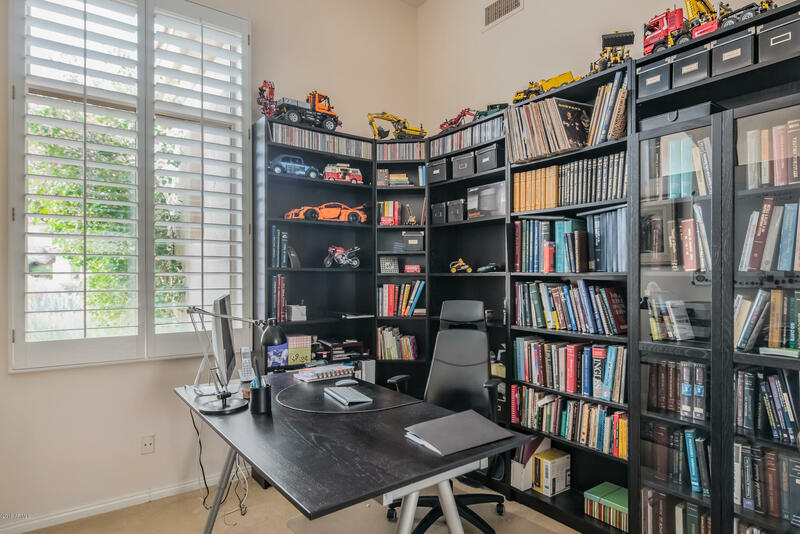 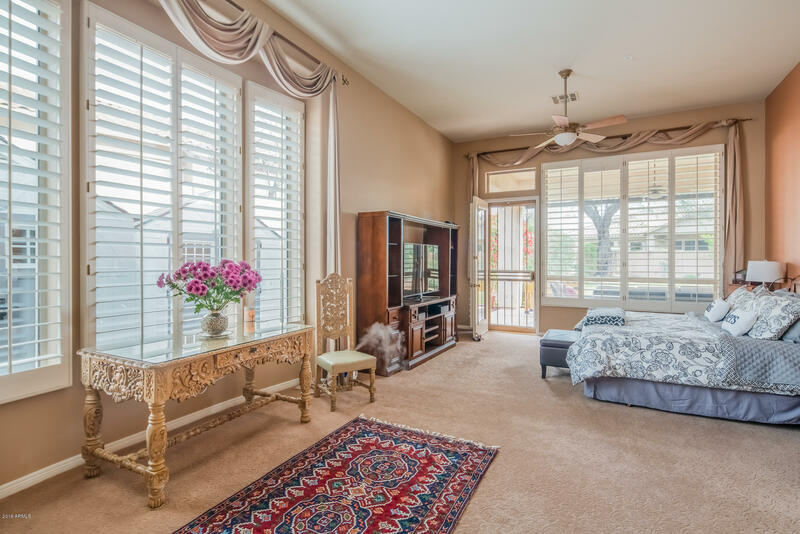 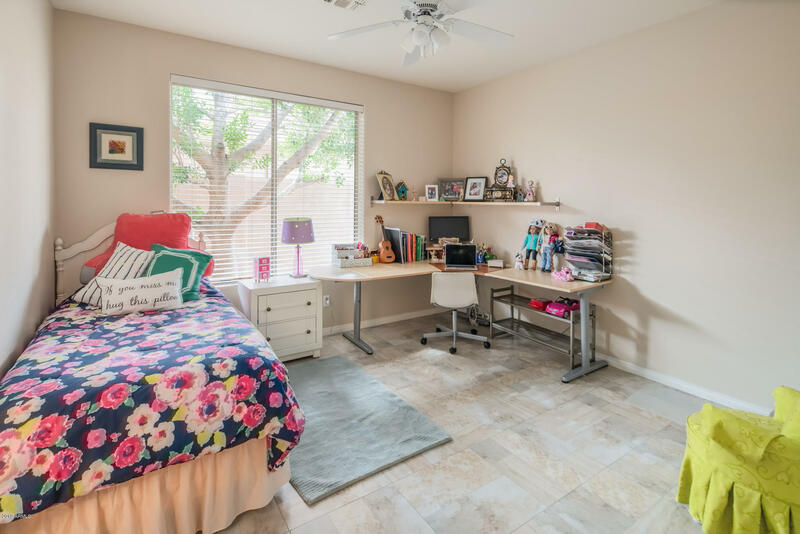 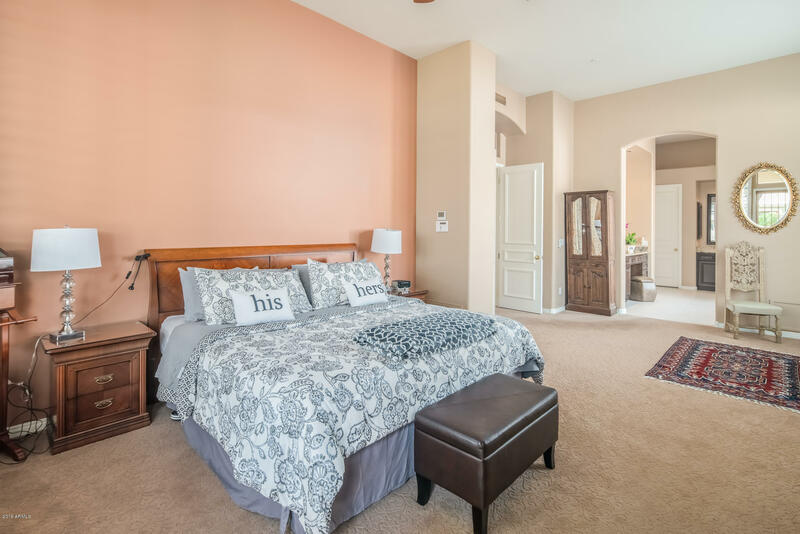 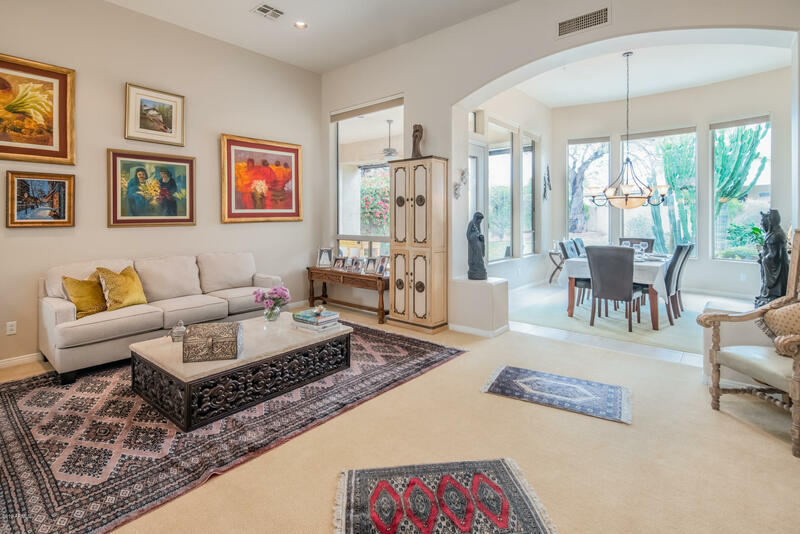 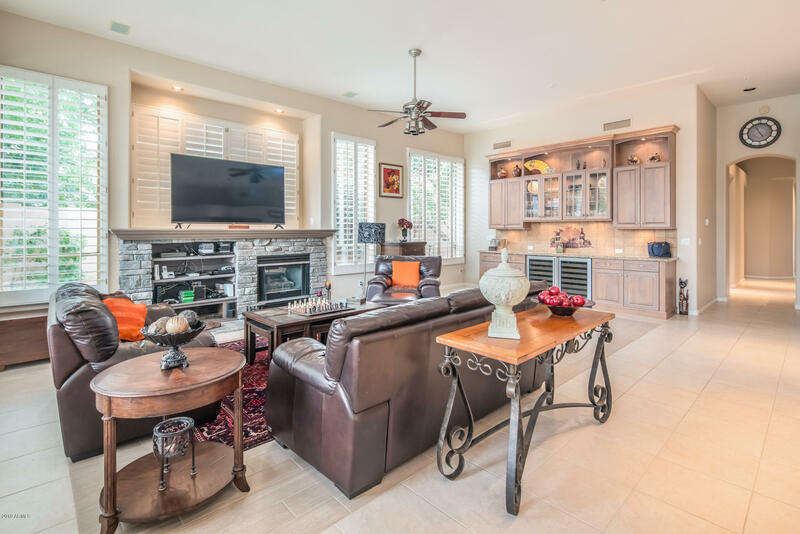 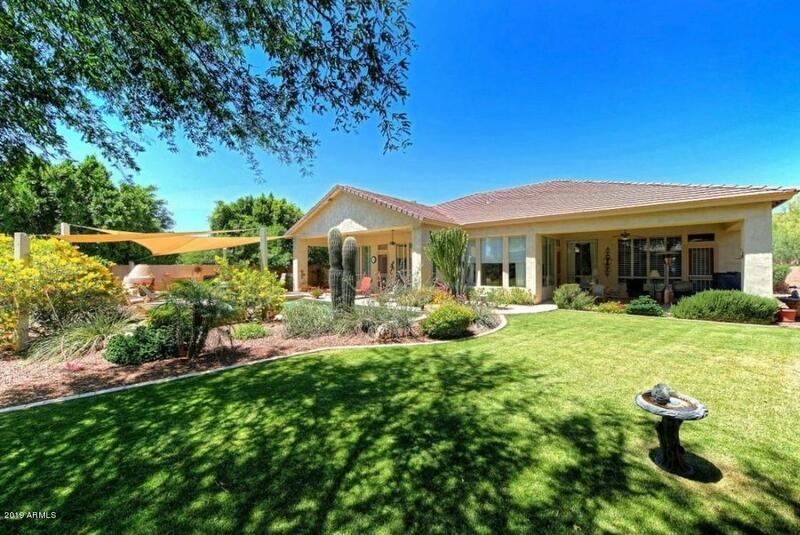 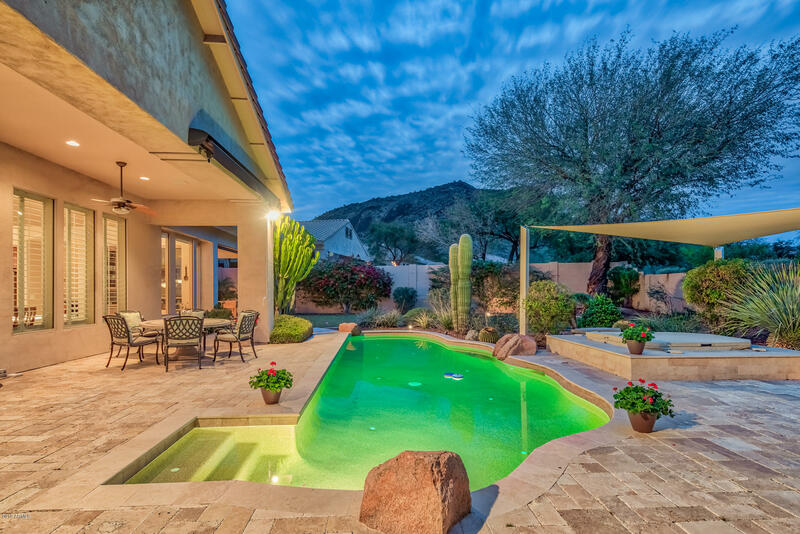 Located on a Private lot in the desirable Gated community of Carino Canyon! 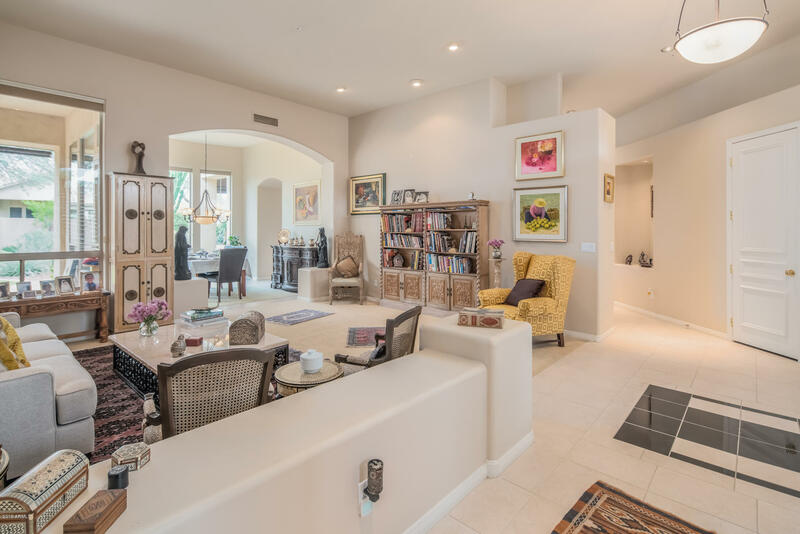 Single level home with a great open floor plan. 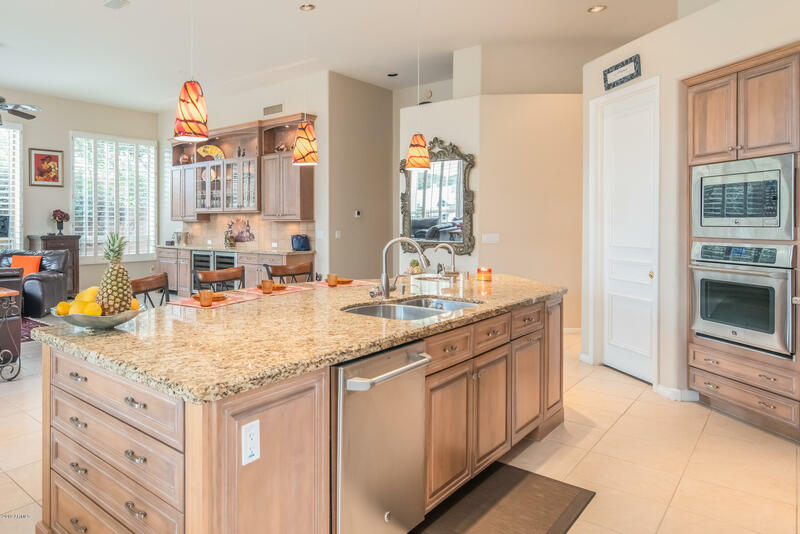 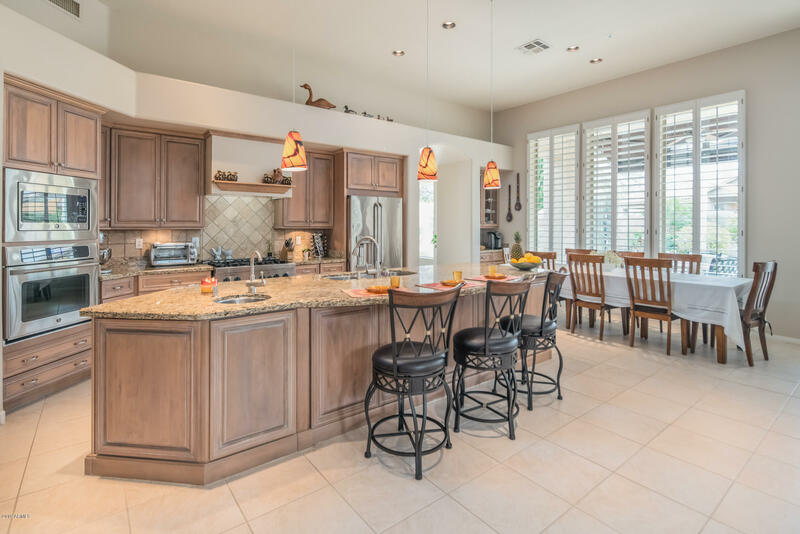 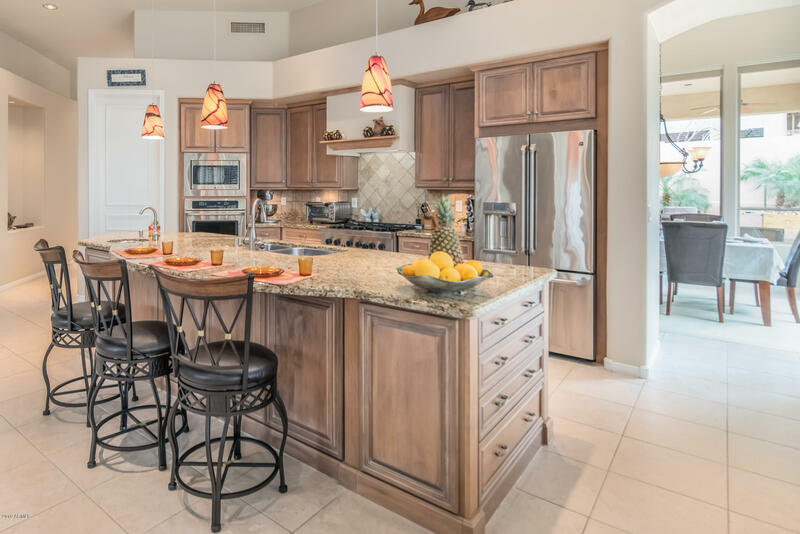 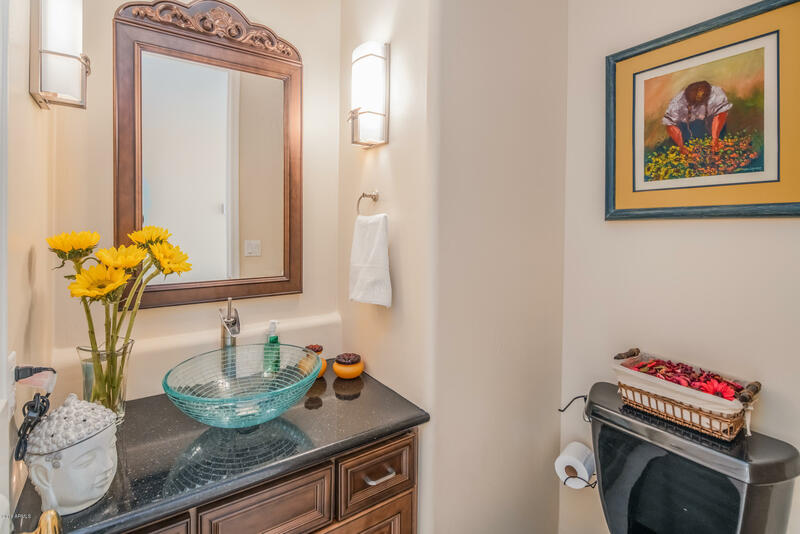 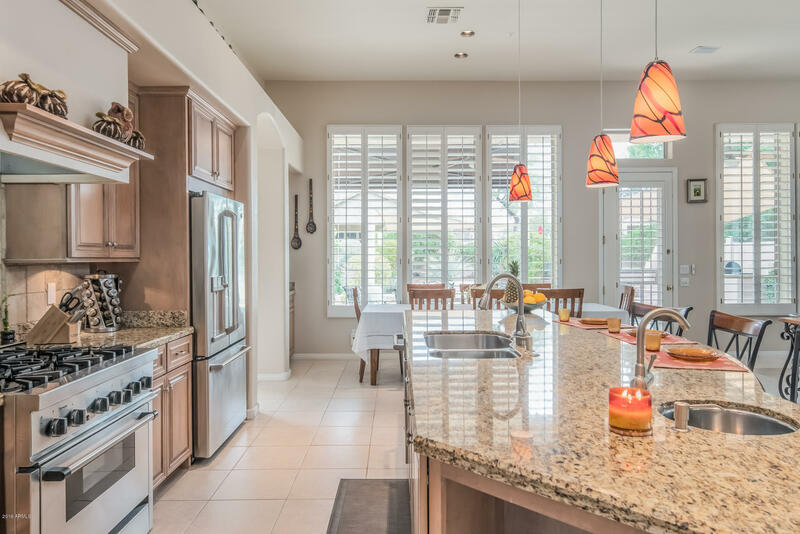 Fully remodeled Chef's kitchen and dining nook overlook the gorgeous Mountain Views. 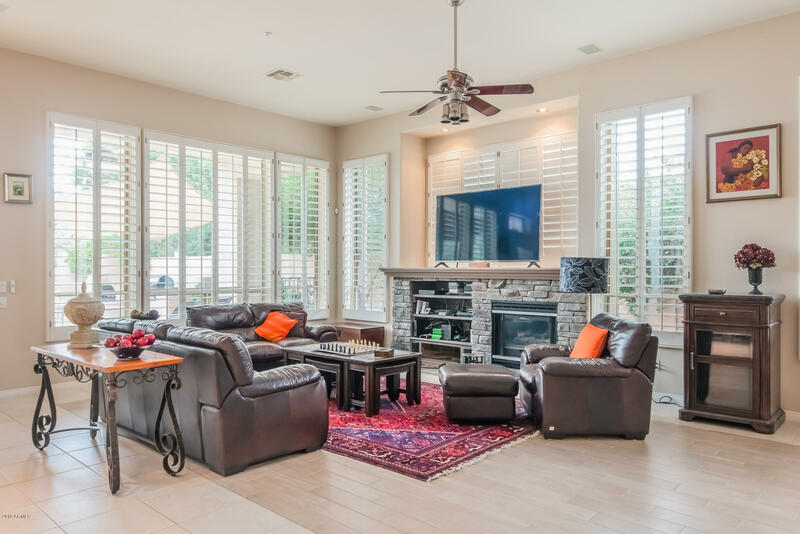 Spacious Family room includes cozy gas fireplace. 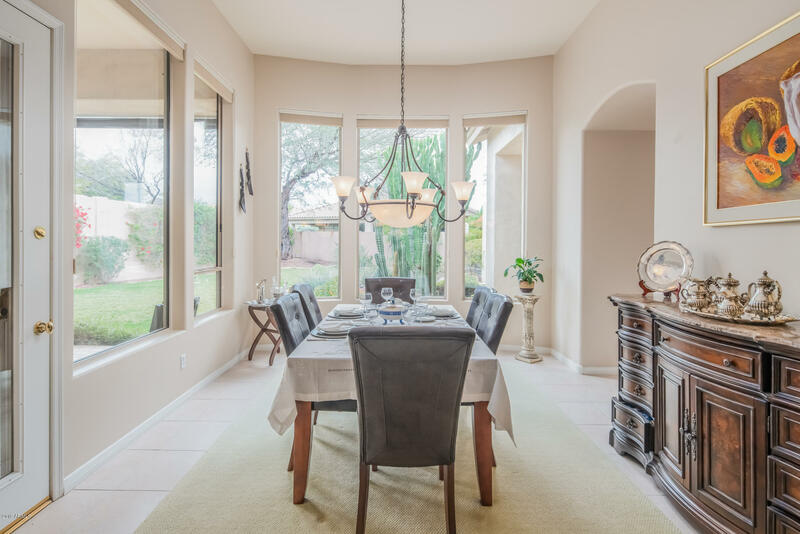 Formal living and dining rooms offer views to the lush backyard. 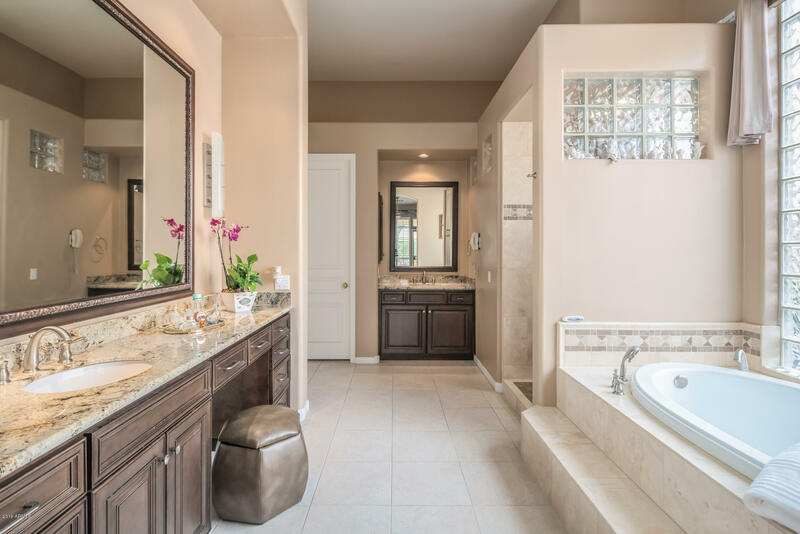 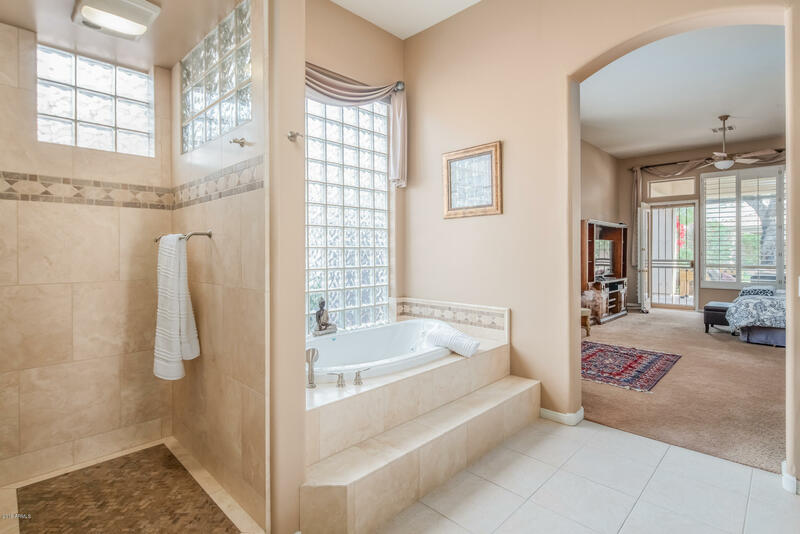 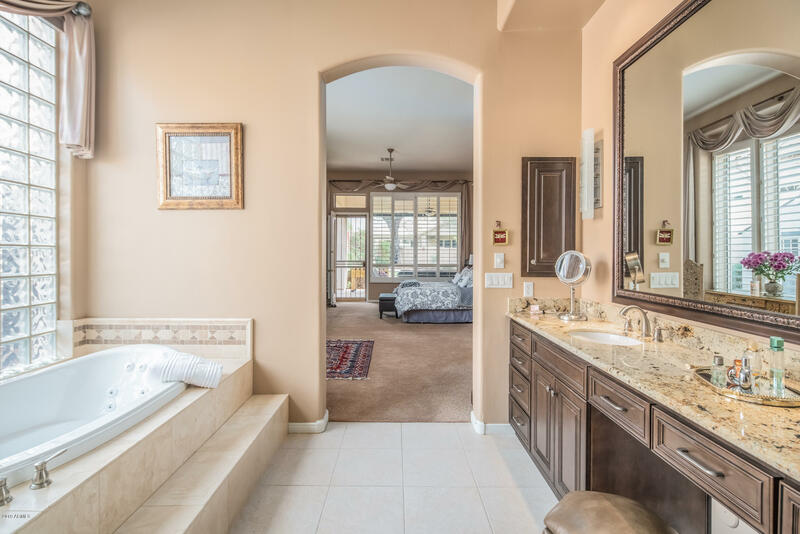 Grand Master suite offers a relaxing space with a spa style bath. 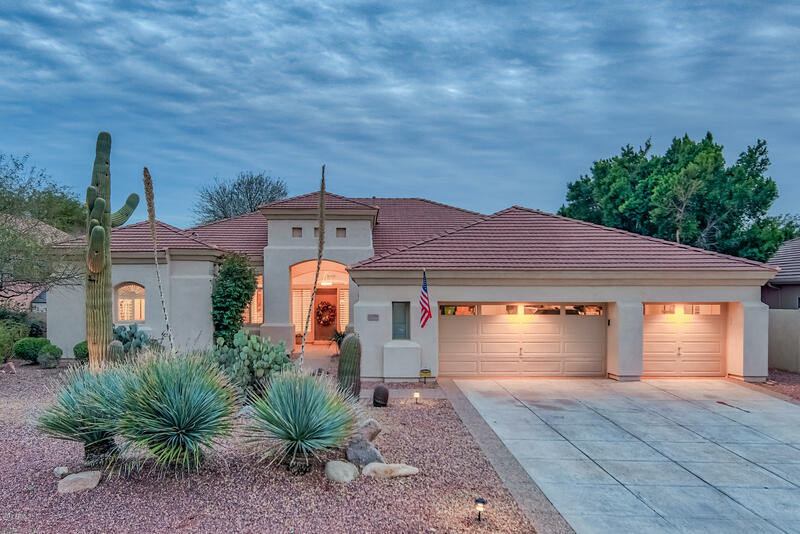 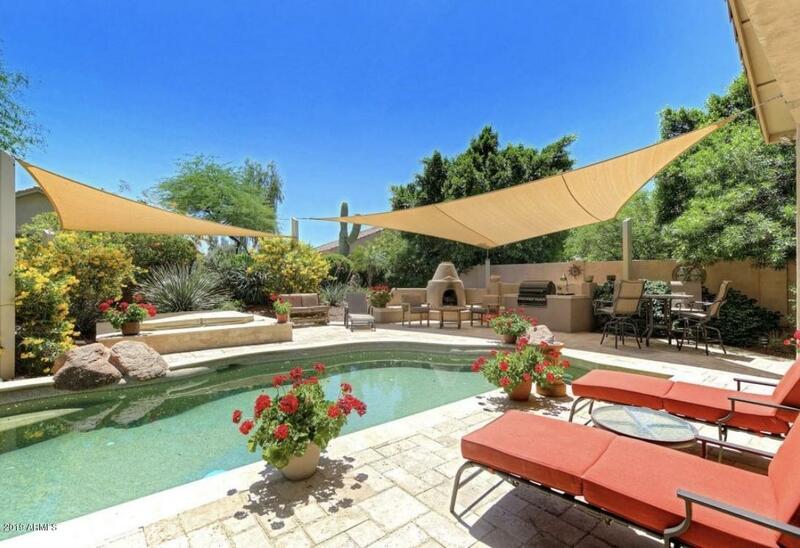 Arizona outdoor living at it's finest features covered patios, sail-shading, Kiva fireplace, Large Pool & Spa, Lawn, and built-in BBQ. 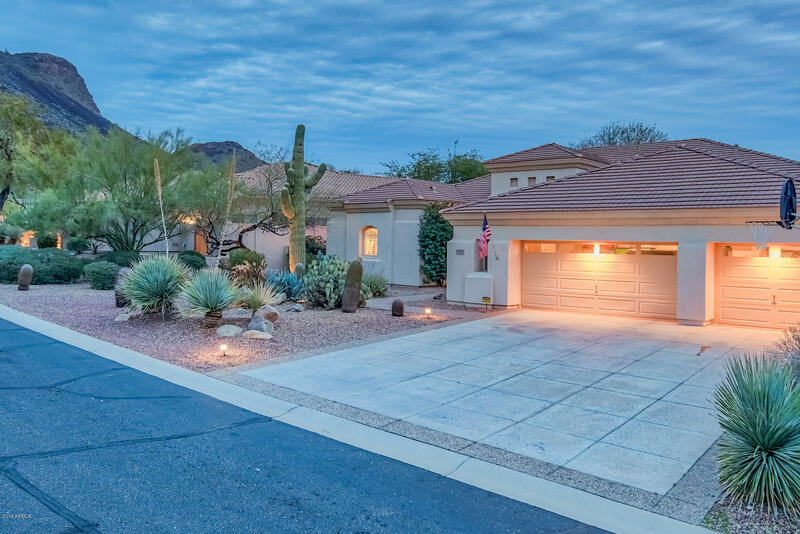 Close to hiking trails, shopping and restaurants! 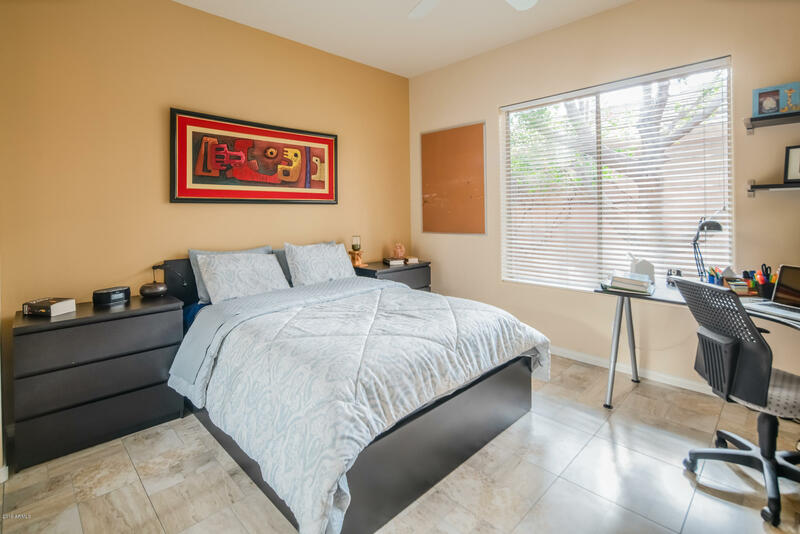 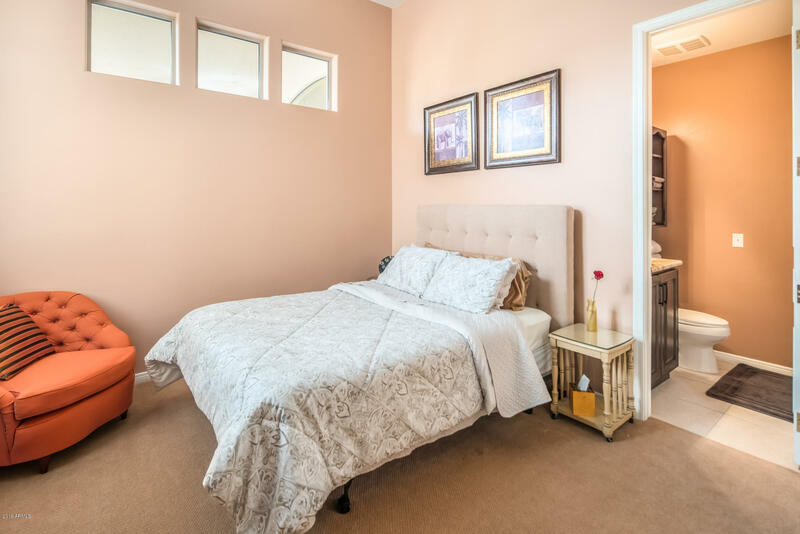 Recent updates including: Pool Heater (2019), Patio sun & wind screen with remote control-Retractable Awning with wind sensor (2019), Newly tiled floors on both Bedrooms & Family Room (2018).